excavation site of Areni-1 in Armenia. handful of grass is for her an intriguing puzzle waiting to be solved. in Bronze and Iron Age settlements in the Near East. existence at the time it was worn." shoe and its contents in superb condition for analysis. us," she says, "because so few are found at other sites." barley, and flax, but also trees such as fig and olive. because so little is known about their process of domestication. The oldest known leather shoe, otherwise known as the Armenian shoe, is on display in Armenia’s History Museum, drawing in large crowds, mostly tourists.Armenia’s A1+ TV channel interviewed individuals present at the exhibit. “After hearing about the shoe on television, I specifically asked my father to send me to Armenia for vacation. Now I am resting in Vayots Tsor’s Malishga village, which is not too far from the site where [the shoe] was found. 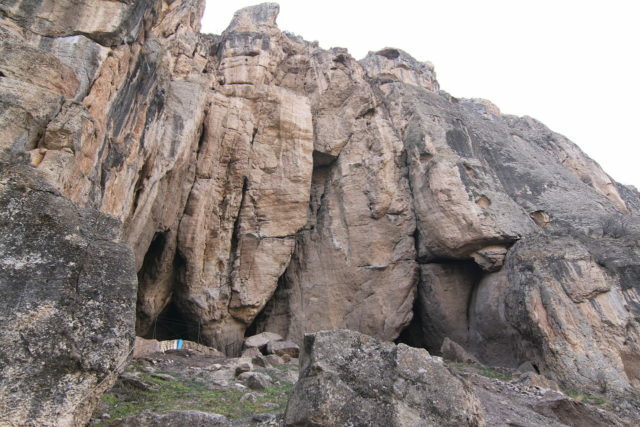 I intend to visit the Areni cave,” said ninth grader Tavit Sarksyan, who resides in Moscow. Hans Notperkn from Denmark noted that, aside from the shoe, he is interested in other archaeological samples. “I have heard about the oldest shoe, but I think that other artifacts are interesting as well. I am amazed in Armenia’s culture in general,” he said. Dimal Krov, an Indian living in Germany, said that he has been familiar with Armenian culture for a long time. Krov, who is married to an Armenian, was visiting the museum with his wife. “I arrived in Armenia yesterday, and this museum is the first site I’m visiting. I heard about the 5,500-year-old shoe at the museum. With the first glance I became interested in it. I think Armenians feel very proud to have such a find,” said Krov. 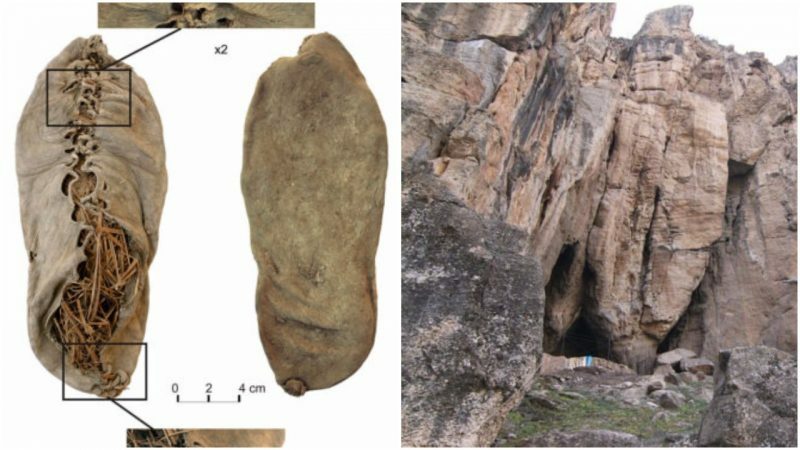 The shoe was discovered in 2008 in the Vayots Dzor province’s Areni-1 cave. A month ago, Armenia’s Academy of National Sciences’ Institute of Archaeology handed the shoe over to the History Museum. Currently, museum staff and archaeologists are working on preservation methods for the shoe. Whatever happened to that promise to send the "shoe" to Germany, or was Switzerland to make it preservable? And now, we read that the "shoe", after so many centuries of anoxia and lack of light is on display in full atmosphere and light where it will turn to DUST in a few days? Do our so called "archeologists" really know the Science of Archeology? That is. One stone upon another is a "church"? And, speaking of "horse bones". Why are the choicest horses known as Arabian? Not to forget that the Armenian Highlands is the birthplace of Wheat cultivation, and the home of metallurgy, i.e the dawn of the Iron Age. Here is where "archeology" becomes a science, not "mythology"
Edited by Arpa, 13 July 2010 - 10:23 AM. Arpa, couple of days ago I spoke to someone from the museum, I was told that from mid-october, the shoe is no longer gonna be in the museum. However, examining the material in the two radiocarbon laboratories in Oxford and California produced surprising results and proved that the primary assumptions made by the archaeologists were not even close to what the laboratories showed. It was stated that it was 5,637 to 5,387 years old and archaeologists who worked on the site in Armenia simply couldn’t believe that a shoe could be so ancient. 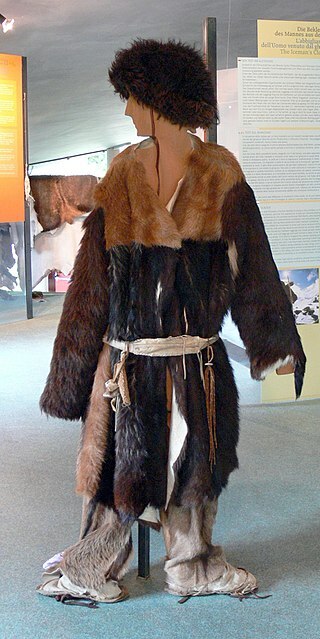 Up until the laboratories came up with the sensational results, the oldest closed-toe shoes were thought to be the ones discovered on Ötzi the Iceman, found by two hikers from Nuremberg in the Ötztal Alps in September 1991. 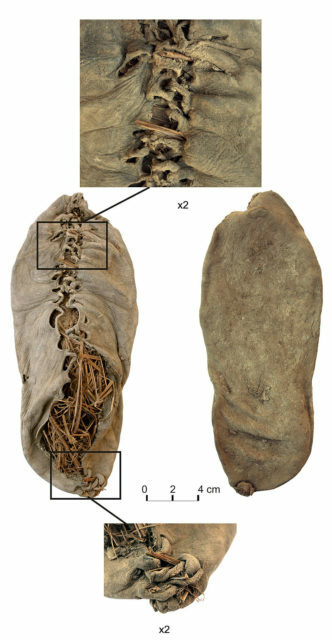 The oldest leather shoe in the world was discovered in 2008 in the Areni-1 cave complex, near the Areni village in Armenia. It was not the only find discovered on the site: Very exciting and historically valuable artifacts were also discovered, including the oldest preserved human brain, seeds from nearly 40 types of fruits, cloth, metal knives, dried grapes, and the oldest winery in the world. Considering the fact that the size of the leather shoe corresponds to a woman’s size 7 (European size 38, UK women’s size 5), it was most probably worn by a woman, but this cannot be claimed with 100 percent accuracy. 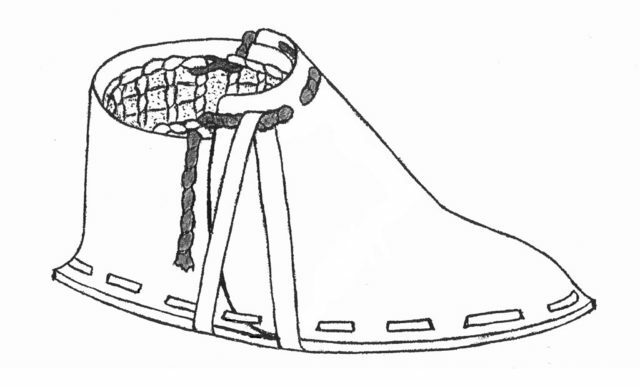 Although leather degrades quickly, this was not the case with Areni-1, where the dry conditions and the floor of the cave being covered by several layers of sheep dung created the perfect environment for the preservation of the shoe. Today, the world’s oldest leather shoe can be seen in the History Museum of Armenia, where it is one of the most exciting artifacts and is without a doubt the main object of attraction for both tourists and history buffs to visit.